Objective: The aim of this study was to determine the oncological and functional outcomes following transoral robotic surgery (TORS) in human papilloma virus negative supraglottic cancers. Study Design: A prospective observational study at a tertiary cancer care center, New Delhi, India. Materials and Methods: From February, 2013 to December, 2015, 45 patients with supraglottic lesions underwent TORS using the da Vinci® surgical system. Results: Forty-five patients underwent TORS for supraglottic laryngectomy (SGL), with all patients undergoing bilateral neck dissection. The most common site was Ary-epiglottic fold. 47.9% were cT1 and 52.1% were cT2. Average robotic set-up time was 8.8 min and average robotic operative time was 42.9 min. 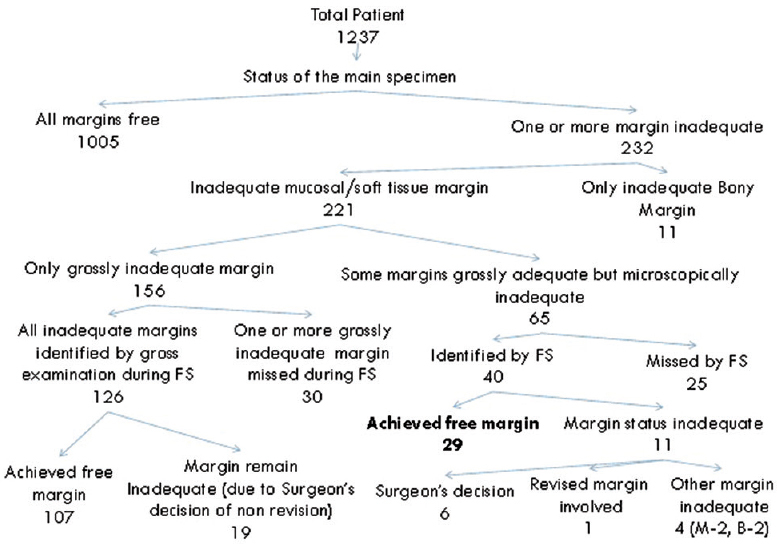 A positive or close margin was seen in 12 patients (26.7%) on frozen, which were revised intraoperatively. On final histology, 3 (6.7%) patients had a margin of <5 mm. The average closest margin was 5.7 mm. Patients tolerated oral feeds within 2 weeks of procedure. All patients were HPV negative. Postoperatively, all patients had adequate swallowing and speech. Follow-up ranged from 24 to 58 months. Thirty-eight (84.4%) patients were alive and disease free. Conclusion: TORS is a safe, feasible, minimally invasive, and oncologically safe procedure in patients with early HPV supraglottic cancers. It has less morbidity and offers benefits in terms of early airway and feeding rehabilitation and avoids complications resulting from radiation therapy for these patients. OBJECTIVES: This study was conducted to determine the number and types of oromucosal lesions (OMLs) in relation to tobacco habits in patients who attended the outpatient department. METHODOLOGY: A total of 1730 patients visiting the Department of Oral Medicine and Radiology were interviewed and screened for tobacco habits (smoking and smokeless). Clinical oral examination was conducted with diagnostic instruments using the Color Atlas of Common Oral Diseases as a guide for diagnosis. When clinical features were not diagnostic, a biopsy was done. RESULTS: Of the 1730 outpatients, 975 (56.3% ) individuals used tobacco in one or other forms and 687 (70.4%) of these had OMLs. CONCLUSION: The results of this study provide important information on the prevalence of OMLs in patients seeking dental care. This provides baseline data for future studies on the prevalence of oral lesions in the general population. INTRODUCTION: Second primary malignancy (SPM) is associated with decreased overall survival (OS) in laryngeal carcinomas (LC). METHODS: One hundred eighty three LC patients were analyzed retrospectively. The primary and secondary endpoints were the incidence of SPM and the OS difference between patients with and without SPM. RESULTS: SPM developed in 22 (12.0%) patients at median 52 months (range, 4–131 months), with a yearly 2.8% incidence, of which 19 (10.4%) and 3 (1.6%) were metachronous and synchronous, respectively. Lung was the commonest SPM (72.7%). Of 47 deaths, 12 (25.5%) were SPM related. 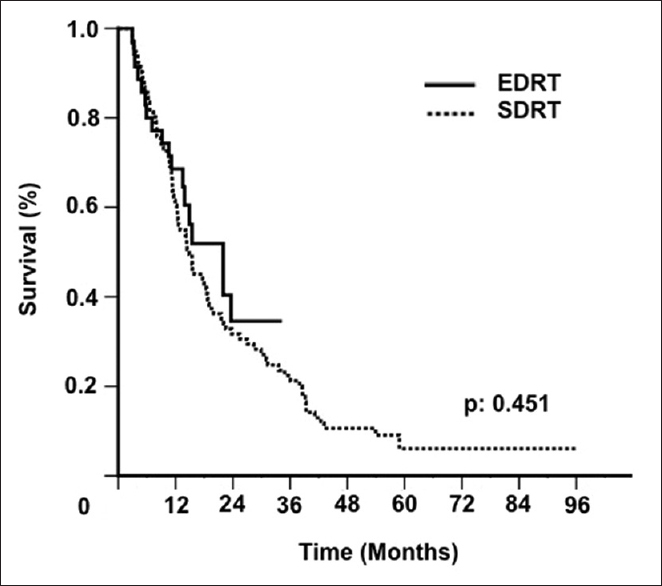 Comparatively SPM patients had significantly shorter median OS (68.0 months vs. median not reached; P = 0.005), with lower 5-year (67.0% vs. 78.9%) and 8-year (32.6 vs. 69.8%) survival rates. CONCLUSION: The present findings suggested the SPM as a competing risk factor for death in index LC patients with its annual incidence rate of 2.8% and for accounting one of every four deaths in this patients group. Emergence of lung carcinoma as the most frequent type of SPM and the ability to treat >50% of them with an estimated long-term outcomes emphasizes the importance of early diagnosis and curative treatment of SPMs. BACKGROUND: Male breast cancers (MBC) account for 1% of all breast cancers. Neoadjuvant concurrent chemoradiation (CTRT) is not the standard of care for treating breast cancer. However, in our center, it has been routinely used in patients with locally advanced breast cancer to downsize the tumor and make it amenable to surgery. AIM: This study was conducted to examine the clinical and pathological profile and outcomes of patients with MBC treated at our institute with neoadjuvant CTRT. SETTINGS AND DESIGN: The study was conducted at a tertiary cancer center and was retrospective in nature. MATERIALS AND METHODS: All MBC patients treated with neoadjuvant CTRT at our center between 2001 and 2016 were enrolled in the study. Data were retrospectively extracted from the patients' case records. STATISTICAL ANALYSIS: Kaplan–Meier method was used for survival analysis and the outcome variables were compared using the log-rank test. RESULTS: Thirty-one MBC patients who received neoadjuvant CTRT were analyzed in this study. The median age of the patients was 53 years. Stage IIB disease was observed in 8/31 (26%) patients, stage III in 20/31 (64%), and stage IV in 3/31 (10%) patients. There was no grade 3 or 4 toxicity due to CTRT. Surgery was performed in 29/31 (94%) patients and none of the patients had a pathological complete response. The median duration of follow-up was 95.3 months. 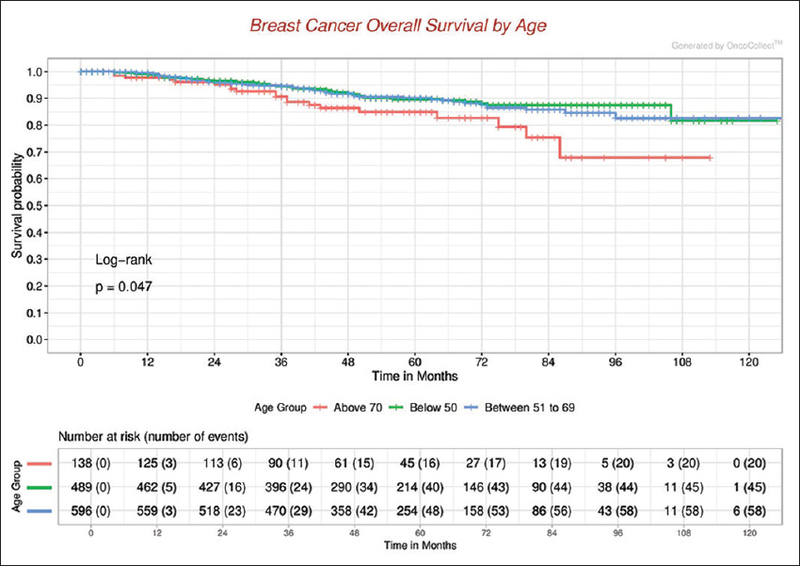 The 8-year event-free survival and overall survival for stage IIB, III, and IV were 75%, 50%, and 0% and 87.5%, 69%, and 0%, respectively. 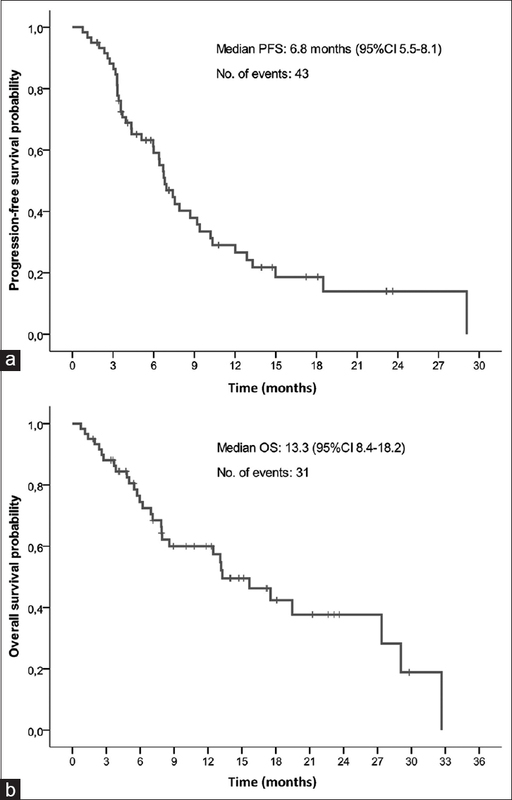 CONCLUSION: This is the first study to report on the use of neoadjuvant CTRT in MBC. 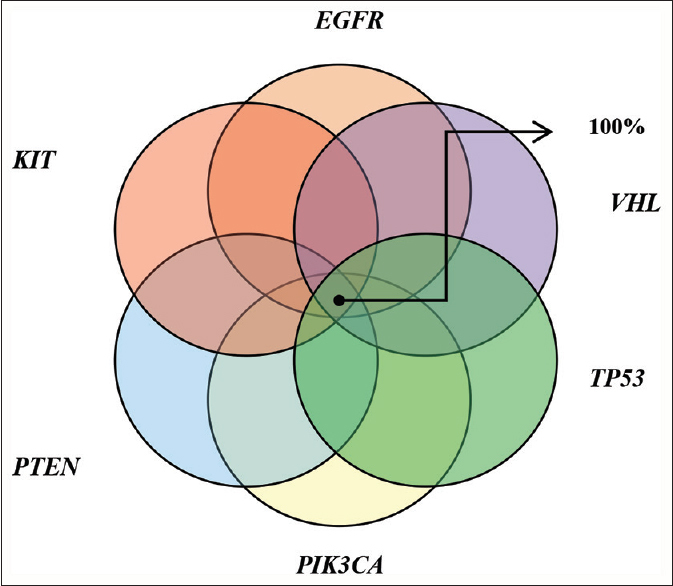 Prospective evidence from phase-3 randomized controlled trials on the safety and efficacy of CTRT in breast cancer is required before its routine use can be recommended. PURPOSE: Breast carcinoma is one of the most common neoplasms in women and is a leading cause of cancer-related deaths worldwide. Obesity-induced chronic inflammation promoted by adipose tissue dysfunction is a key feature, which is thought to be an important link between obesity and cancer. 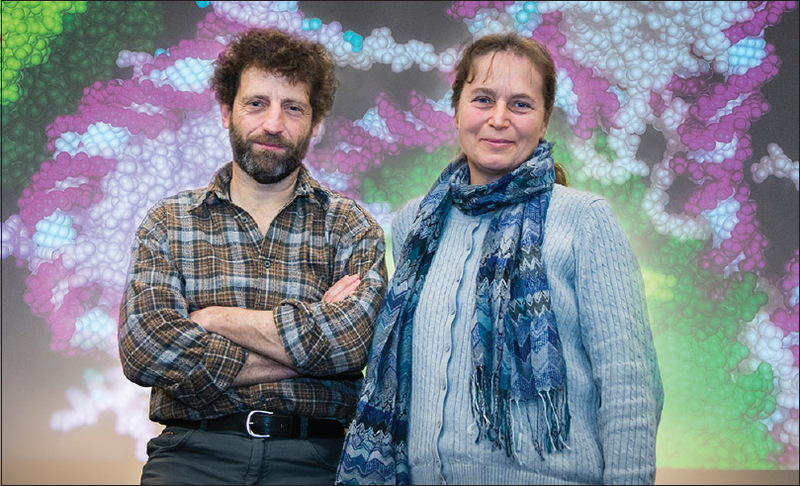 Oxidative stress (OS) has been suggested to play an important role in carcinogenesis. Obese women have been shown to have higher levels of OS markers. The study was performed to know the influence of obesity on OS to be replaced with OS markers in patients with breast cancer. 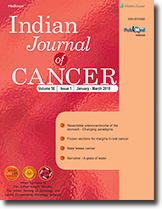 MATERIALS AND METHODS: Thirty women attending the outpatient Department of Surgical Oncology and Surgery at Sri Venkateswara Institute of Medical Science, Tirupati, who were clinically diagnosed and histologically confirmed with breast cancer were considered as the patients and 30 healthy women were included as controls. Malondialdehyde (MDA), protein carbonyls (PCC), and advanced oxidation protein products (AOPP) as oxidative markers along with protein thiols and ferric-reducing ability of plasma (FRAP) were studied as markers of antioxidant status. 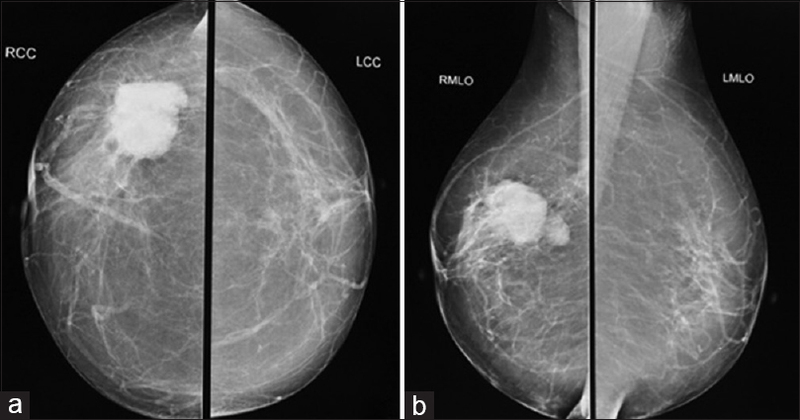 RESULTS: Patients with breast cancer had significantly higher levels of MDA (P = 0.005), PCC, and AOPP compared to controls (P = 0.001) and significantly lower levels of thiols and FRAP compared to controls (P = 0.001). No significant correlation was found between OS markers and indices of obesity. A significant association was found between OS markers (P = 0.005), PCC (P = 0.002), AOPP (P = 0.002), and breast cancer. CONCLUSIONS: Patients with breast cancer have increased OS as evidenced by an increase in oxidant markers and a decrease in antioxidant markers. OS is not related to their adiposity but is related to the presence of breast cancer. BACKGROUND: Breast cancer (BC) is the most common type of cancer among women in the world. Patients can face musculoskeletal disorders due to treatment side effects that result in failure to walk, falling, or fractures associated with balance problems. PURPOSE: The aim of this study was to determine whether postural balance would be affected during chemotherapy (CT) in people with BC. MATERİALS AND METHODS: A total of 32 women who consulted the medical oncology department, between 31 and 63 years of age, were admitted to the study. For fear of falling, fall efficiacy scale; for static balance, double-leg, single-leg, and tandem stance tests with eyes opened and eyes closed; Romberg test; for dinamic balance, Sit To Stand (STS) test, and Time Up and Go (TUG) tests were performed in the patients. RESULTS: Reduced fear of falling between CT cycles (P < 0.0125), no change in postural sway in double-leg stance test with eyes opened (P = 0.734) and eyes closed (P = 0.127), significantly increased postural instability in single-leg and tandem stance test with eyes opened and eyes closed (P = 0.000), no change in postural stability in Romberg test (P > 0.05), significantly increased postural instability in STS (P = 0.000) and TUG tests (P = 0.000), and significantly increased time of finishing the STS (P = 0.021) and TUG tests (P = 0.010) were noted. CONCLUSİON: Patients demonstrated postural instability which can ruin the daily life activities in many parameters of measurements. Postural balance exercises should be performed by BC survivors undergoing CT.
BACKGROUND: Bladder cancer (BCa) is the ninth most common cancer accounting for 3.9% of all cancer cases as per the Indian Cancer Registry data. There is a scarcity of data on urinary Bca from India. AIM: The aim of this study was to know demographic background, stage distribution, utilization of various treatment modalities, and oncological outcome in Indian patients presenting with bladder cancer to a tertiary care cancer center in Mumbai. METHODOLOGY: We performed a retrospective audit of all patients registered as urinary BCa in our hospital from January 1, 2013 to December 31, 2013. Electronic medical records of these patients were checked for most of the information gathered. RESULTS: Median age of patients at presentation was 59 years with a range of 18–88 years. There were 84% male and 16% female patients. 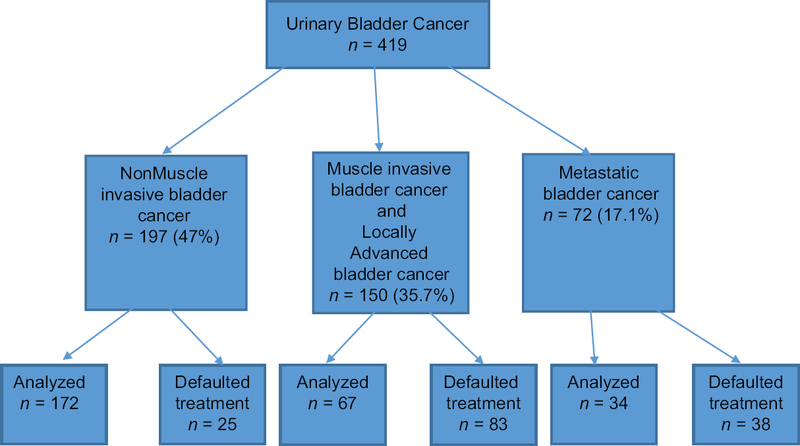 Forty seven percent of patients had nonmuscle invasive bladder cancer (NMIBC), 36% had muscle invasive bladder cancer and locally advanced disease, and 17% had metastatic disease. 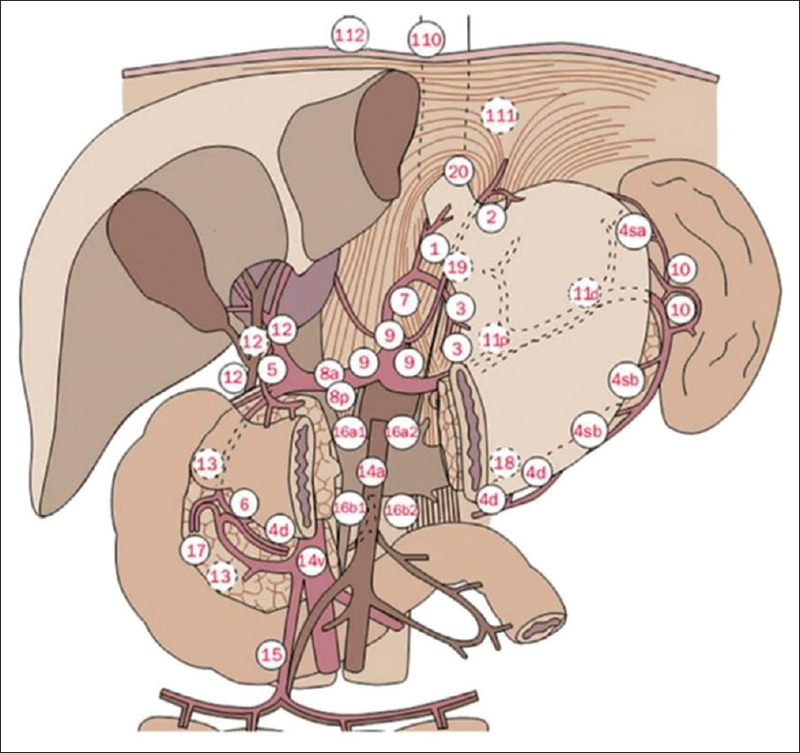 Eight patients were treated with trimodality bladder preservation protocol. 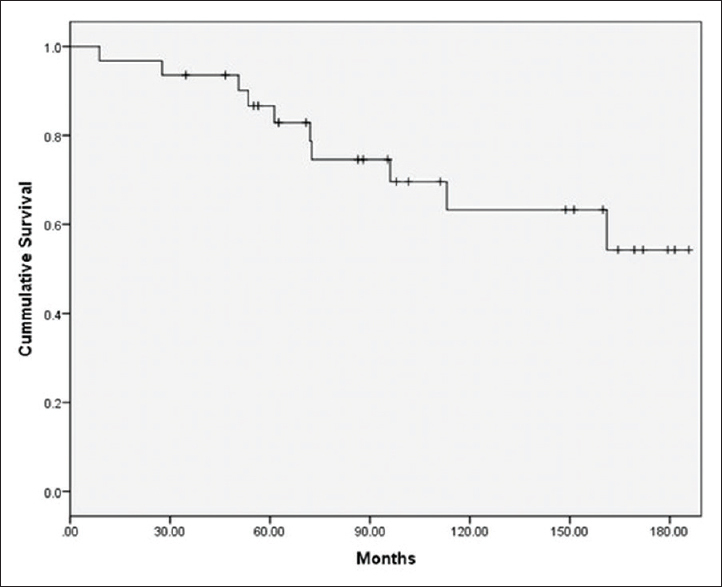 Recurrence was seen in 38 (22.6%) patients with NMIBC. Out of them. 44.7% and 55.3% were in low- and high-grade tumors, respectively. 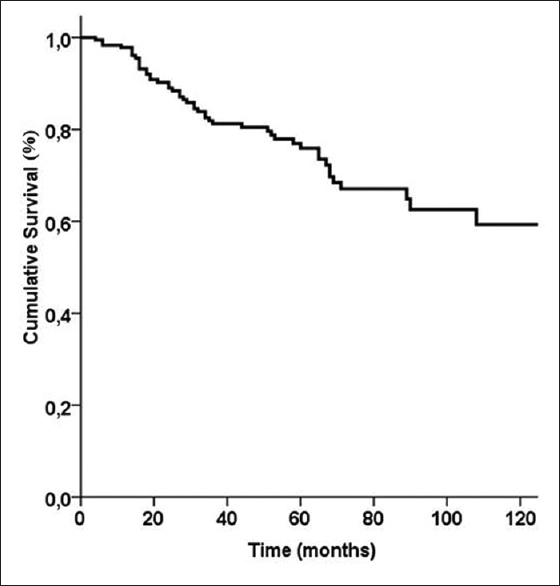 Overall survival and disease-free survival estimated for 3 years were 63% and 57%, respectively. CONCLUSION: Bladder cancer has a varied spectrum of presentation. Bladder cancer patients presenting to our hospital generally have a higher stage and grade of disease compared with that in the west. BACKGROUND: Synchronous occurrence of two malignant tumors is a rare event. With increasing use of sophisticated imaging modalities for staging, synchronous multiple tumors are more commonly detected now. Assuming the second primary malignancy as metastasis will change the intent of treatment from curative to palliative, greater awareness among oncologists is of paramount importance. This study is an example where thorough clinical examination and proper judgment resulted in correct diagnosis and appropriate treatment. MATERIALS AND METHODS: This is a prospective descriptive study. Patients diagnosed with synchronous primary tumors from January 2016 to November 2017 at our center were reviewed. RESULTS: Ten cases of synchronous primary malignancies were detected during this period. A total of 20 primary tumors were diagnosed. Lung carcinoma and gastrointestinal malignancies were the most common (five patients each). The median age was 59.5 years. Seven patients were male. 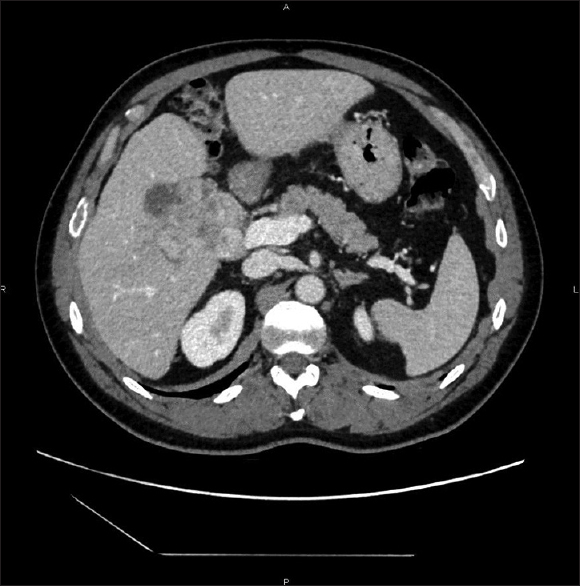 Second primary tumor was suspected in four patients during clinical examination, while in six patients it was suspected on imaging. 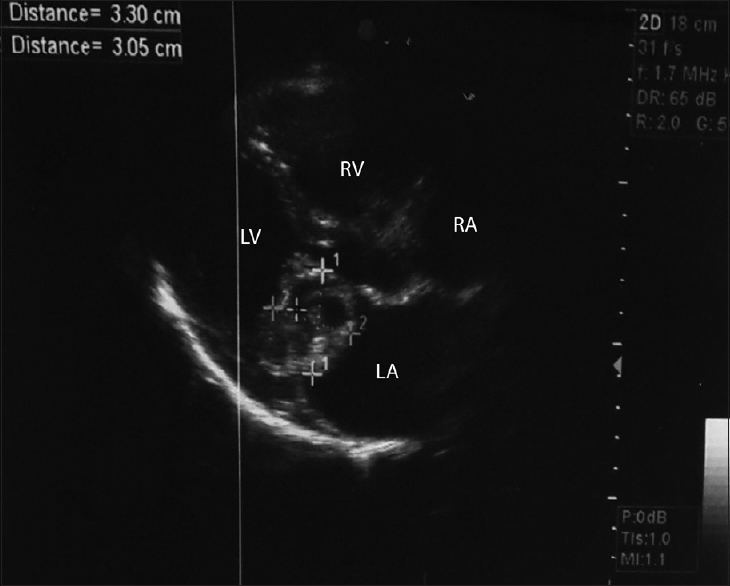 Even in the presence of two primary tumors, three patients were treated with curative intent. CONCLUSION: Possibility of synchronous second primary malignancy should always be kept whenever a distant deposit is detected at an unusual site. Histopathological evaluation of the lesion before assuming a metastasis will lead to accurate diagnosis, staging, and appropriate treatment.